A new shower is often central to a bathroom renovating project. Sometimes a homeowner wishes to have a larger shower, add a shower to an existing bathroom, or just add a seat to their shower. Tub to shower conversions are becoming more popular option in bathroom renovating where the bathtub is removed and replaced with a large shower. We go to the same trusted high quality manufacturers for our shower products as we do for our baths. 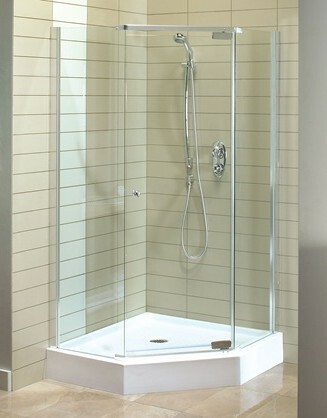 All of the shower base products we install are robust in construction and firm under foot. Choose from our recommended acrylic wall surrounds or more traditional tile and grout, to achieve the look and feel you want.